A new face, Pedro seems to be getting attention from the right people in the modelling industry. 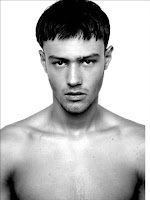 Models.com picked him as the 'hot new face of the moment' and he has also been photographed by JD Ferguson. Pedro is half Brazilian and half Italian and was discovered at a contest in Brazil.